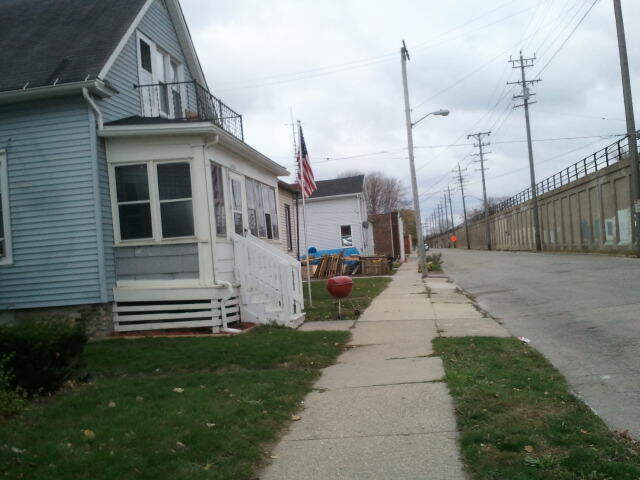 I’ve spent the last three days in Kenosha, Wisconsin for the final push in this long 2012 election year. We thought we’d be in Ohio but in the last few days, everyone from Illinois has been sent to Wisconsin. But we’re also working for Rob Zerban, who is challenging Paul Ryan, so as we go door-to-door we tell people, “You get to vote against Paul Ryan twice!” Wouldn’t it be nice if it came to pass that Ryan actually did lose twice? In some of the neighborhoods we’ve been in, I feel like “wow … they need to be voting for Obama.” But then as we’re talking to them and hear how they’re traveling 90 miles for work (and these are the lucky ones) or see the number of houses in foreclosures or abandoned buildings you do understand the absence of hope. While I can talk about how Obama opened the door on his presidency to the messy pile of excrement left by de-regulation and bad wars from previous administrations, one can understand why election day is not necessarily on the frontal lobe in much of Kenosha. History is mostly fabulous because of firsts, and in 2008 it was an almost unbelievable first but we dared to believe. I’m not bothered by the lack of “enthusiasm” that some papers are focusing on … I am just concerned with results. And the next four years so we CAN see some change.